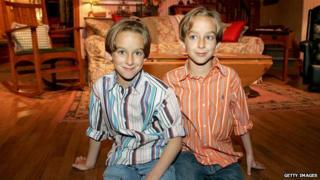 Sawyer Sweeten, the child star of hit US show Everybody Loves Raymond, has taken his own life, his family has said. A statement said the 19-year-old died on Thursday morning. He is reported by US media to have shot himself on the front porch of the family home in Texas. Sawyer played Geoffrey Barone in the hit show, which also featured his twin brother Sullivan as Michael Barone and older sister Madylin as Ally Barone. "This morning a terrible family tragedy has occurred," the family said in a statement. "We are devastated to report that our beloved brother, son, and friend, Sawyer Sweeten, took his own life. He was weeks away from his 20th birthday. "At this sensitive time, our family requests privacy and we beg of you to reach out to the ones you love." Everybody Loves Raymond ran from 1996 - when Sawyer and Sullivan were just 16 months old - to 2005. Based on lead actor Ray Romano's stand-up routines, the show was primarily about his strained relationship with his parents and his brother. The children, especially the twins, had smaller, cameo moments. In the early years, they were too young to speak. The series developed a loyal following in the US, and was shown by Channel 4 in the UK. Writing on Facebook. Sweeten's older sister Madylin added: At this time I would like to encourage everyone to reach out to the ones you love. Let them have no doubt of what they mean to you."